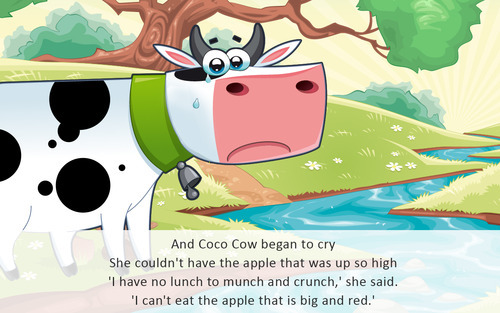 I began this lesson by reading a book called, Coco Cow and the Big Apple. 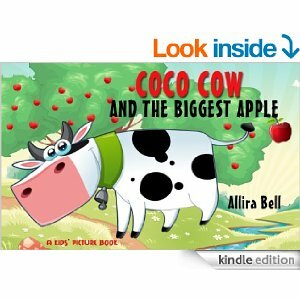 I love this book- the story line is adorable and the pictures are some of my favorite. 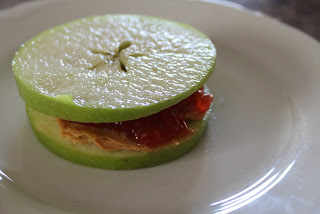 So this is what his mother did (cut the apple across the middle from side to side, not top to bottom) .“Now I see the star!” said the little boy. 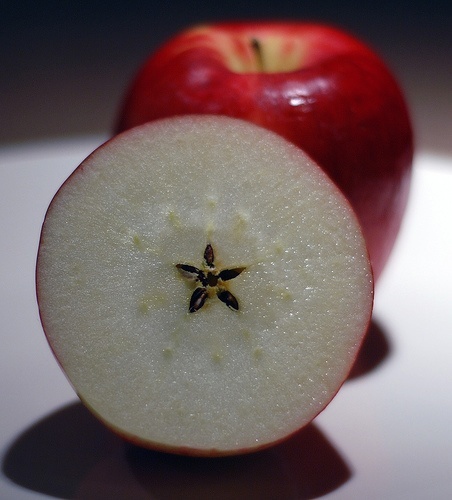 Inside every apple sleep five seed babies in their star beds, just waiting and waiting for the wind to catch them so they too can become a little red house with no doors and no windows and a star inside! 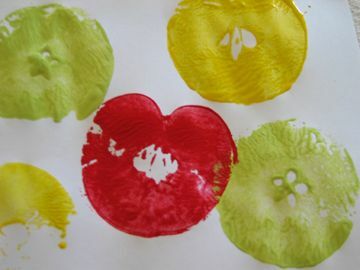 I didn’t do this with my little group of kiddos, but you could also do apple printing at this time… Just dip your apple star slices in tempera paint and TADA! 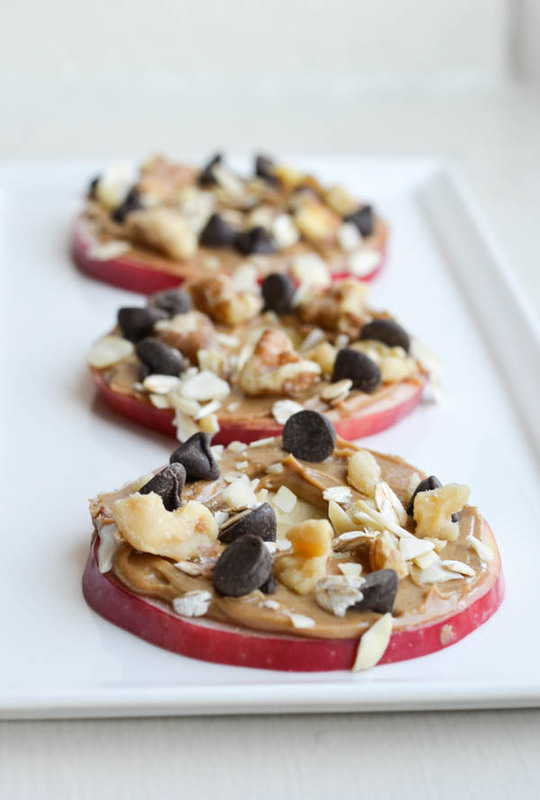 It is apple season! Enjoy and have fun!